Angelo's is one of my favorite places to get brunch in Ann Arbor. It's on Catherine Street in the hill area, and I first went there during freshman year in Couzens Hall. Even after I moved to the southwestern part of campus, I tried to make the trek back to Angelo's at least once a year. Angelo's is known for its bread and many of the dishes come with a side of toast. We're not talking little pieces of toast - each slice is at least a half inch thick and could practically be its own meal. The egg dishes are great, the French toast is delicious, and there are also pancakes. Huge pancakes. From what I hear, Angelo's serves lunch, and judging by the rest of the menu I'm sure it's delicious. The place is packed every weekend, so if you don't want to wait, try to get in by 9:30. Once I moved closer to Main Street, The Broken Egg became my go-to brunch spot. It's up on North Main, so it's a hike from campus but well worth the walk. (Besides, it'll give you an appetite for the big breakfast ahead of you!) 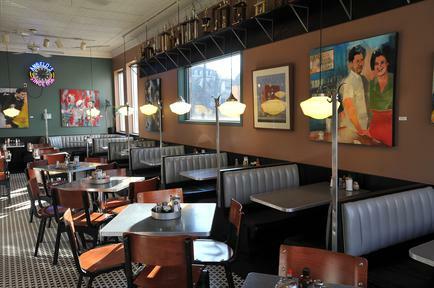 It seems to be majorly staffed by friendly female servers and the interior feels homey. There are stuffed animals hanging out on shelves, bright yellow walls, and Michigan and Big Ten paraphernalia all over. I always find myself trying to choose between at least three dishes after narrowing it down from the entire menu. Their traditional egg dishes are tasty, but their bananas foster waffles might be one of the best breakfasts I have ever eaten. I guess at a certain point the whipped cream and caramel sauce make it a dessert, but I generally try to ignore that thought. 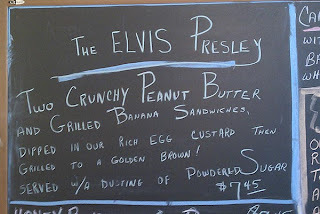 I was never brave enough to actually order this special at the Broken Egg. I never liked Afternoon Delight enough to wait in the massive line that seems to form every weekend morning. It's one of the better priced places to eat, but I usually preferred the food at Angelo's or the Broken Egg. 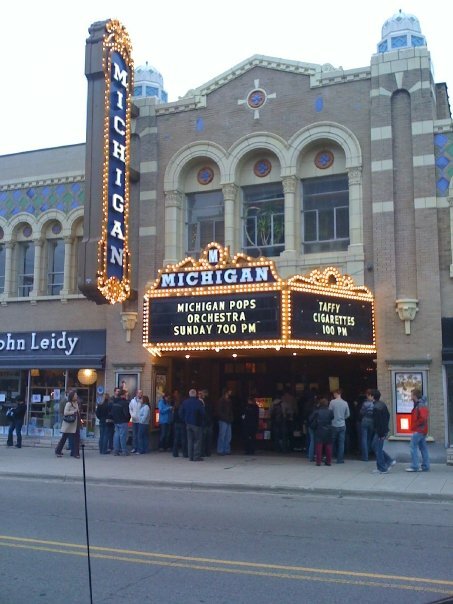 However, for many years Afternoon Delight was the location for the Michigan Pops board breakfast on concert day morning. We'd get there as the restaurant opened, take over multiple tables and drink massive amounts of coffee while the servers did their best to avoid kicking our instrument cases. Though I didn't go more than a couple times a year, a friend of mine earned several free breakfasts with the frequent flier punch card. He loved the Potato Pancakes Eggs Benedict Smoked Salmon weekend special. A good breakfast was important for starting a successful concert day! Someday I will learn to make Eggs Benedict, but even then I will still miss eating brunch out in Ann Arbor. It's one of the many things I look forward to when I go back to visit! 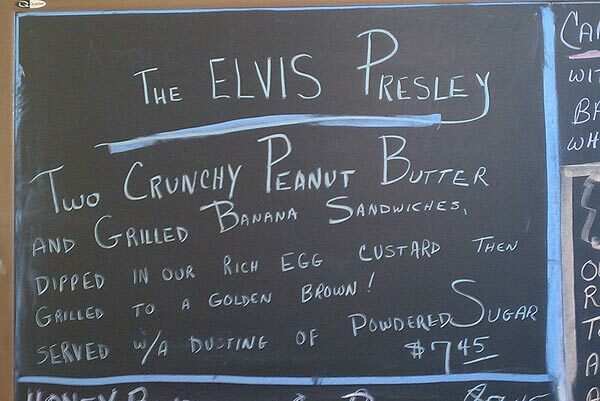 What are your favorite breakfast places? What about favorite brunch foods? 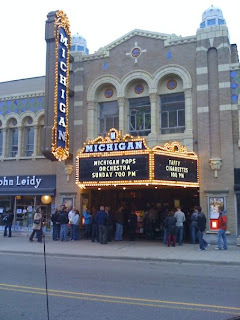 For those of you still in town, here's an article about the past year for Ann Arbor restaurants!